Deploying Stardog Cluster on Kubernetes is a walk in the park. In this post we show you how easy it is and how it works. Once the pods are running, you’ll have a three node Stardog Cluster behind a load balancer ready to go. Namespaces allow you to scope your objects (pods, services, etc.) within a single physical cluster. It’s not required that we create a namespace, but it’s generally good practice to avoid using the default one unless it’s a small development cluster. Once the namespace is created and the secrets are in place, the cluster is deployed. ZooKeeper is deployed and configured first, followed by the Stardog Cluster. Finally, it creates a service with an externally accessible load balancer that exposes Stardog Cluster. The command works with the Kubernetes platforms we’ve tested, including Amazon EKS, Google Kubernetes Engine, and Microsoft Azure Kubernetes. Now, let’s take a step back and talk about Kubernetes: what it is, why you may want to use it, and how we deploy Stardog on it. Kubernetes is a container orchestration platform to help users deploy, manage, and scale containerized applications. Kubernetes refers to a set of containers as a pod. Pods can be a confusing concept at first, as they may consist of multiple containers. If you want to read more about pods you can do so in the Kubernetes docs. For our purposes, it’s easiest to think of each ZooKeeper container and each Stardog container as individual pods. Kubernetes automatically deploys pods on hosts and monitors them to ensure that they remain running, restarting them if necessary (possibly on other hosts in the Kubernetes cluster). For example, if an underlying host crashes, Kubernetes automatically starts the pods from the bad host on a working host in the cluster. Or if a host needs to undergo maintenance, Kubernetes can drain the host and start the pods on another host. If a user decides they need an extra instance of their application, they can simply increment the count and Kubernetes takes care of the rest: it finds a host to deploy the pod, starts the pod, and performs any required configuration for it. If the application is behind a load balancer, Kubernetes automatically adds the pod to the load balancer and directs traffic to it once it’s online. For simple stateless applications, such as a web application with state maintained in a database elsewhere, it’s obvious to see how Kubernetes can effectively manage and scale the web server deployment. Kubernetes doesn’t have to track anything specific about the containers, it can simply launch replacement containers on any host in the cluster when needed. What about more complex, stateful applications, such as a database? This is a little trickier, but Kubernetes has primitives that make it possible to run those applications as well. Typically, stateful applications require a few guarantees: a consistent name, ordered deployments (if multiple services), and persistent storage. If a host goes down, Kubernetes needs to make sure the stateful containers on the new host keep the same name and underlying storage, regardless of where they’re restarted in the cluster. StatefulSets do exactly that, which is what we use for both ZooKeeper and Stardog containers in our deployment. There are a number of getting started guides for Kubernetes, depending on which platform you want to use: Google Kubernetes Engine, Microsoft Azure Kubernetes, or Amazon EKS, among others. Of course, you can also deploy your own Kubernetes cluster manually. However, choosing one of the managed platforms is typically a good starting point. You’ll also need kubectl on your system and a kube config file for your particular Kubernetes cluster. The kube config file is what specifies the Kubernetes cluster to use and the credentials for it. We’ll leave the details of setting up a Kubernetes cluster and configuring kubectl to the getting started guide for the platform of your choice. Once you’re setup for a Kubernetes cluster, let’s dig into the details of the Stardog HA Cluster deployment. The full stardog-cluster.yaml file is available in the stardog-examples GitHub repository. The file includes everything except the secrets: base64-encoded strings for Artifactory credentials and a Stardog license. Replace <base64 encoded string of the license file> in stardog-cluster.yaml with the base64 string. Replace <base64 encoded string of credentials> in stardog-cluster.yaml with the base64 string. 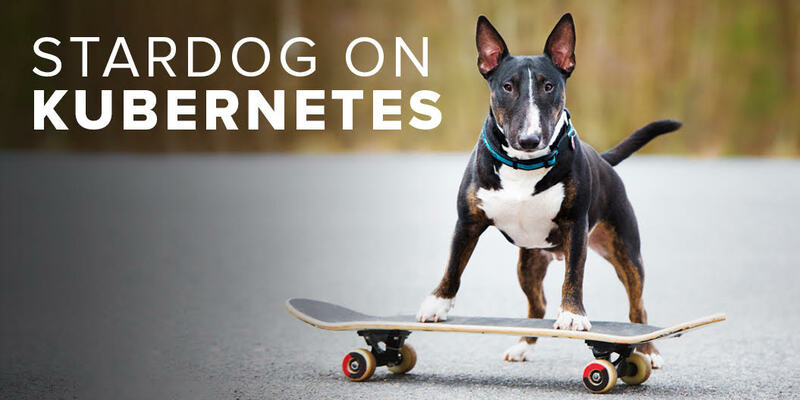 As we mentioned earlier, we first create a namespace for our deployment, called stardog-k8s. Everything else is configured and deployed into that namespace. Namespaces provide a scope for objects in a deployment (services, pods, etc.) within a single physical Kubernetes cluster. There are no hard and fast rules that you must follow for namespaces. Kubernetes provides a default namespace that may work for small development clusters with a few users. However, as your use of Kubernetes grows, you may choose to consider creating separate namespaces for different teams or efforts within your organization. This makes our lives a bit harder, but it also means that we are, as a vendor, less likely to clash names with customer deployments or environments. You can also set your preferred namespace in your kubeconfig file so you don’t have to specify it for each kubectl command. The stardog-cluster.yaml file has a number of different sections worth discussing. It creates services for both Stardog and ZooKeeper. It contains a ConfigMap object that specifies the stardog.properties necessary to enable the cluster. The two major sections are the StatefulSets for the Stardog and ZooKeeper nodes. The ZooKeeper section largely mirrors a Kubernetes template for ZooKeeper deployments from the Kubernetes GitHub project. We use a StatefulSet for Stardog and ZooKeeper pods, allowing the pods to maintain consistent DNS names, regardless of which host they’re on. With StatefulSets, each pod is assigned an ordinal index (e.g., zk-0, zk-1, and zk-2), that is consistent across restarts. The stardog.properties configuration file takes advantage of this by specifying the 3 ZooKeeper servers ahead of time using their names, e.g., zk-0.zk-service.stardog-k8s. The StatefulSet also ensures that the underlying data volume for ZooKeeper and Stardog stay with the pod throughout the cluster. replicas: 3 instructs Kubernetes to create a 3 node Stardog Cluster and to keep those 3 nodes running. If you need a bigger cluster, just specify a bigger value for replicas. The podAntiAffinity section tells Kubernetes to deploy the 3 Stardog nodes on different hosts in the Kubernetes cluster so a single host failure will only result in a single Stardog container failing. The health check waits 30 seconds once the container is created and then queries the Stardog health check endpoint every 5 seconds to verify that the node is still a cluster member. Here are a few additional commands to help you examine the Kubernetes objects created. This command will delete everything, including the persistent volumes and namespace. With Kubernetes, Stardog Cluster has never been easier to deploy and manage. Kubernetes provides powerful mechanisms to handle scheduled infrastructure maintenance and recover automatically from infrastructure failures. In future Kubernetes posts, we’ll cover some different failure scenarios and show how Stardog Cluster on Kubernetes adapts in the face of failure. We’ll also be looking at how can use all this elastic computing power to scale Stardog Knowledge Graph services. Stay tuned.